If you're still reeling from the crazy news that Nick Viall is the next Bachelor, you are not alone. It was a surprising and somewhat baffling casting choice, even if you fall into the "Nick Viall fan" camp. Bachelor Nation might have lost their collective mind, but this Nick-Viall-as-the-Bachelor thing is happening, and there's nothing we can do about it now. Except for wait patiently and look at photos of Viall before he was ever on The Bachelor franchise. Because that sounds like a fun way to pass the time until his season premieres, right? It does to me. 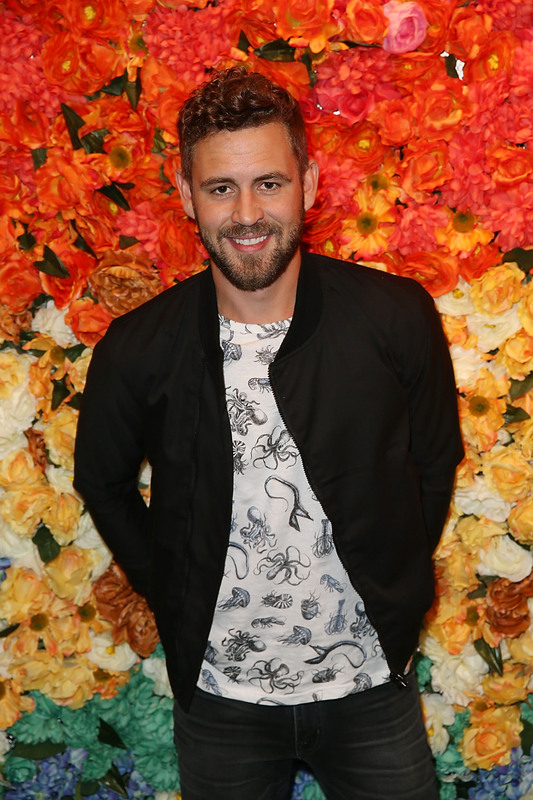 Sure, Viall's been on not one, not two, but three different spin-offs of the Bachelor (two The Bachelorette and one Bachelor in Paradise), but that does not mean we know everything about him. There are so many things still left to learn. Thankfully, a lot of those things can be learned via old photos. Because before Viall was a Bachelor sensation, on his way to date multiple women in an audience of approximately 7 gajillion, he was just like you and me. A regular guy from Chicago, with a penchant for being shirtless. Oh, wait, actually that penchant for being shirtless thing didn't seem to spawn until after The Bachelorette, right? Wrong. See? You don't know everything about him. Now let's get into some photos. This one dates all the way back to 2013, and, though it's certainly not the first shirtless picture ever, it could be the first Nick Viall shirtless picture and that counts for something. If only he knew where The Bachelor/ette franchise would take him. Good to see he did well in large groups before The Bachelorette. We all know how those go. Ah, scarves. Something Viall would later become known for. According to this caption, we can thank this lovely lady for having Nick Viall on our TV screens. It's a #TBT, so I retract what I said earlier. This appears to be the first ever Nick Viall shirtless photo. So, now we know that Viall isn't exclusively into brunettes. Is he the one in overalls or the one in the Texas basketball shorts? Either way, this is magnificent. Here's to seeing more of Nick's face when his season premieres Monday, January 2.